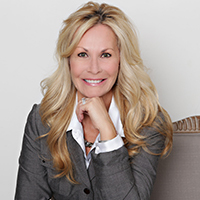 Michelle Cain has 30 years of sales experience, including 12 as a sales trainer and consultant, she is a valued resource to leaders focused on building world class sales organizations. She has significant experience working with organization’s leadership and sales teams to implement a consultative sales approach. This includes all of the elements today’s sales professional needs to more effectively manage their territory and develop more business with new and existing accounts. Michelle has gained valuable sales experience through a career in the hospitality industry, working for global hotel chains such as Novotel, Hilton and Fairmont Hotels & Resorts. Since then she has worked as a consultant, course facilitator and distributor for companies involved in business to business sales, utilizing world class sales training programs. Her focus has been on the training and development of leadership, sales and customer service teams in a wide range of industries including travel, food service, pharmaceutical, financial, hospitality, industrial and agriculture. Michelle has worked with a number of leading organizations to assess their sales teams and deliver a tailored development program that combines professional sales training with an aftercare coaching program. Recognizing that return on investment is a key aspect for any sales team, she also helps clients develop and implement a measurement system that ensures the right combination of activity and results. Michelle is a business graduate of Sheridan College, and has also obtained, with distinction, the Certified Sales Professional (CSP) designation from the Canadian Professional Sales Association. Michelle Cain is an associate sales performance coach with Base Over Apex.